Washington's student population is becoming more diverse, but its pool of teachers remains largely white. We want to hear from the people at the center of this inequity: teachers. When we launched our series on teacher diversity in Washington, we asked students to share their perspectives on teacher representation and how it has affected their learning. In part one of the series, we reported that to fully represent today’s students, about 29,500 of Washington’s 64,700 teachers would have to be people of color — about 22,300 more people of color than those who now teach here. 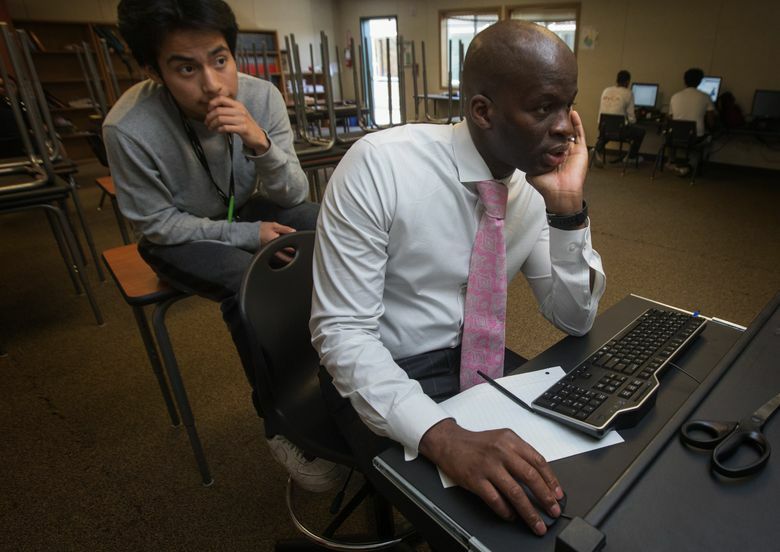 In part two, we described how three school districts in the Puget Sound area are trying to recruit — and keep — more teachers of color to address this problem. Part three, publishing online Friday, will look at how Clark County in Southwest Washington is tackling the same issue. Now, we want to hear from the people at the center of this inequity: teachers. Share your stories with us, and they could be published at seattletimes.com, or in our newsletter.